Termites are among the most hated insects around not because they bite or sting, but because they can cause great damage to property. A colony of termites can easily raze a large house and the owners won’t even know it is happening; not at first anyway. Oftentimes, homeowners only realize that they have a termite infestation once the damage is done. There are several types of termites, and the most common species found in the U.S. are the dry wood, damp wood, Formosan, and subterranean termites. These termites are not known to transmit diseases, but there are a few health and safety concerns associated with termite presence. – Termites harm structural integrity. The most obvious problem for homes besieged with termites involves structural integrity. Any building or house that is primarily made of wood can become unfit to live in if termites have already done considerable damage to its foundation, beams and other parts of the structure. Termites feed on the cellulose in wood, and they hollow out any part of a structure that is made of such material. 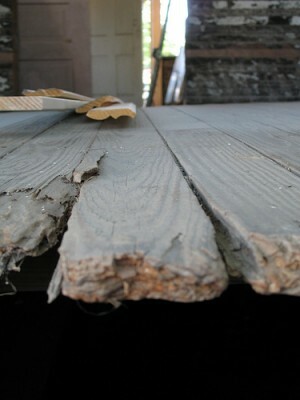 This is a serious safety issue because a once solid wood structure becomes weak and brittle because of termite damage. Once the termites have gone through all the wood that makes up a certain structure, they can then eat paper, insulation, drywall or books. – Termites can damage electrical wiring too. Termites have strong jaws, particularly the damp-wood termites. These creatures use their powerful jaws to chew through electrical wiring or cables in their search for more digestible cellulose. Once wires or cables or damaged, this makes a short circuit highly possible. Short circuits can cause dangerous fires and other electrical accidents. – Termites can spread molds. There are different kinds of molds, and some species are more dangerous than others because these cause serious illnesses. So, what do termites have to do with it? Molds grow in damp and dark environments; the same areas that are preferred by various types of termites. When termites chew or crawl through wood, they also disperse molds. Once mold spores are in the air, these can easily become inhaled or the spores can land on skin. – Molds cause various types of illnesses. Molds cause allergies, skin diseases, fungal infections, and mycotoxin toxicity, to name a few. People with allergies might experience a worsening of their condition. Mild asthma can quickly become a chronic condition with more severe symptoms, like Allergic Bronchiopulmonary Aspergillosis which is demonstrated by a worsening of asthma or cystic fibrosis symptoms. Many types of skin diseases and fungal infections, such as systemic Candida or histoplasmosis, can also be triggered by mold presence. As for mycotoxin toxicity, this refers to the effects of the toxic compounds released by molds. Regular or extreme exposure can lead to neurological problems, and sometimes death. Once molds are inhaled, they can also grow in the lungs, which is a disease known as Aspergilloma. Dermatitis, eye infections, itching, hives, and memory loss are only a few of the many conditions that may be related to mold exposure. Claire Trent is a freelancer who specializes in issues concerning pest control. She also blogs about Termite Control Washington DC, bed bug elimination, and other pest management techniques that homeowners might find helpful.